Viet Nam wants to attract 100,000 businesses to invest in agriculture. It hopes between 3,000-4,000 businesses will be large scale with the rest medium sized. 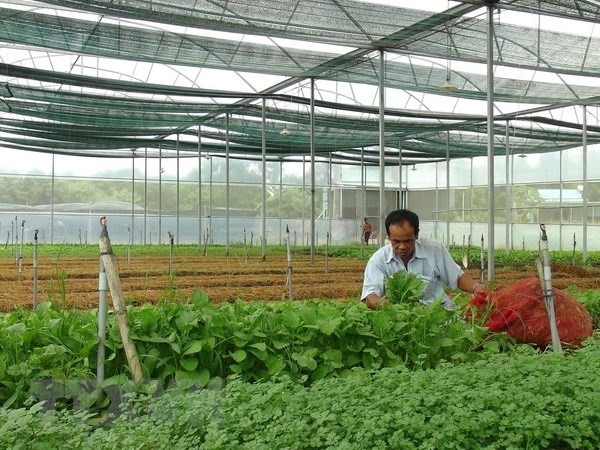 This information was released by Deputy Director General of the Ministry of Planning and Investment (MPI)`s Enterprises Development Agency Nguyen Hoa Cuong at the forum entitled "Businesses accompany agriculture, farmers and rural areas in 2019" held in Ha Noi on Tuesday. At the conference, representatives from MPI, the Ministry of Agriculture and Rural Development and relevant organisations discussed solutions to boost investment. Cuong said the ministry had issued a circular guiding the support and encouragement of enterprises to invest in agriculture, assisting start-ups and removing investment barriers. Cuong said: "In order to achieve this, it is necessary to devote resources to support rural areas, farmers and the development of socio-economic infrastructure related to agriculture, in which it should focus on transport system, complete legal framework, create a favourable and stable investment environment for businesses." In the future, special attention will be paid to the resources of capital and land, attracting scientists, applying science and technology to production of high quality products, training human resources, expanding consumer market, especially taking advantage of integration with free trade agreements to create outlets for agricultural products. Discussing land accumulation for agricultural development, many experts said the State should focus on building and perfecting legal stability and transparency, ensuring harmony between the interests of farmers and investors as well as the common interests of the whole economy. Deputy Minister of Agriculture and Rural Development Hoang Van Thang said in recent years, the number of enterprises investing in agriculture had increased in many areas such as cultivation, animal husbandry, aquaculture and agricultural processing. In the field of fruit processing alone last year, there were 16 large enterprises investing with total capital of about VNđ8.7 trillion (US$374 million). According to Nguyen Do Anh Tuan, Director of the MARD`s Institute of Policy and Strategy for Agriculture and Rural Development, more large-scale businesses were investing in this area. Fruit processing is an example. "Projects which see large scale investment and modern technology lines, often receive orders immediately, even orders for up to10 years," Tuan said. Cuong told the conference about an enterprise in the Cuu Long Mekong Delta, which focused on investment in processing coconut for export. It only needed 100 workers but its products had been exported to potential markets such as the US, Australia and Saudi Arabia with capacity of a million coconuts per year.